FERC Approves Peak Reliability Special Assessment - September 30 – FERC issued an order approving a special assessment to fund Peak Reliability’s operations for 2014. NERC had requested the special assessment in July 2014, based upon the failure of the Alberta Electricity System Operator and BC Hydro to pay their allocated assessments to Peak Reliability. The special assessment allows NERC to collect an additional $4 million from WECC members to fund Peak Reliability for 2014. Peak Reliability is required to make an informational filing with FERC summarizing negotiations with AESO and BC Hydro by October 31, 2014, with quarterly status reports required until agreements are reached; additionally, should Peak Reliability receive payment from AESO or BC Hydro for 2014, it would be required to reduce its next budget request accordingly. 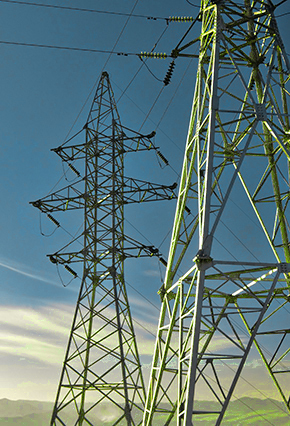 FERC, NERC Begin Review of Recovery and Restoration Plans September 30 - FERC announced that, in collaboration with NERC, it was beginning a review of recovery and restoration planning for the bulk power system. The initiative will seek information from representative regulated entities through a request letter, and will issue recommendations based upon best practices identified. FERC Requests Data and Documents from Regional Entities to Extreme Winter Weather Events - September 26 - FERC has requested data and documents from the regional entities affected by severe winter weather events. Particularly, FERC is requesting additional information on generation outages, response actions, outreach activities, and similar information relating to the regional entities affected by the 2011 southwest cold weather events, the 2014 polar vortex, and the other 2014 winter storm events. The regional entities have 60 days to respond. FERC Issues NOPR on Demand and Energy Data Collection - September 18 - FERC released a Notice of Proposed Rulemaking for standard MOD-031-1. If adopted, the standard would provide authority for NERC and regulated entities to collect historical and forecasted energy data. The proposed rule would streamline data collection efforts, include data from transmission planners, require the inclusion of weather-normalized data, and require explanations of demand-side management forecasts. Comments are due by December 1, 2014. FERC Issues NOPR to Approve New Communications Reliability Standards – September 18 – FERC filed a Notice of Proposed Rulemaking (NOPR) in which it proposes to approve Communications (COM) Reliability Standards COM-001-2 and COM-002-4, which will enhance reliability over currently-effective COM standards. According to the NOPR, COM-001-2 will establish specific communication capability requirements that applicable functional entities must adhere to, and COM-002-4 will require entities to develop standard communication protocols, establish training requirements, and develop a flexible enforcement approach that includes a “zero-tolerance” policy for failure to use three-part communications in emergency situations. In addition, the NOPR notes that the Proposed Reliability Standard does not contain an explicit requirement with respect to internal communications, and directs NERC to modify COM-001-2 to ensure that entities maintain adequate internal communications capability. Comments are due by December 1, 2014. FERC Issues FFT Order - September 18 - FERC issued an order accepting NERC's Find, Fix, Track and Replace (FFT) 2013 annual compliance filing and a related NERC proposal to continue processing certain moderate risk possible violations as FFTs. In the order, FERC also rejected NERC’s proposal to allow for more than one year to complete mitigation activities associated with a posted FFT, but approved expansion of the pool of FFT candidates to include possible violations with mitigation completion targets of up to one year. NERC Releases Report on Polar Vortex - September 30 - NERC issued a report detailing the impacts of January's polar vortex, which resulted in significant increases in electricity demands across a wide region of the country. The report reviews utility responses to the extreme weather, details issues such as generator weatherization and natural gas availability that contributed to electric system stress, and makes recommendations for future weather events. NERC Penalty Activity - September 30 - NERC filed with FERC a spreadsheet notice of penalty detailing 30 violations of 20 reliability standards by 10 entities. Separately, on September 26 FERC declined to take action on two August penalty filings by NERC. NERC Comments on PRC-005-3 NOPR - September 29 - NERC submitted comments in response to FERC's notice of proposed rulemaking (NOPR) proposing to approve proposed Reliability Standard PRC-005-3 (Protection System and Automatic Reclosing Maintenance), but directing NERC to (1) modify the proposed Reliability Standard to add the maintenance and testing of supervisory relays for Automatic Reclosing such as synchronism check and voltage relays; (2) submit a report that addresses whether the proposed Reliability Standard applies to an appropriate set of autoreclosing relays that can affect Bulk-Power System reliability; and (3) add tracking of automatic reclosing misoperations to NERC’s data collection efforts going forward. In its comments, NERC supports the addition of voltage supervision and supervisory inputs associated with selective autoreclosing in the coverage of PRC-005, and the addition of synchronism check supervision. However, NERC does not support FERC’s proposed directives related to further data collection and verification of the applicability thresholds as currently drafted in the NOPR. NERC Issues Statement on FERC Meeting Actions – September 18 - NERC released a statement praising the results of FERC’s September 18 meeting, during which the Commission issued NOPRs to approve NERC Reliability Standards COM-001-2 and MOD-031-1, among others. COM-001-2 aims to enhance reliability by improving upon current communications capabilities and protocols. MOD-031-1 will consolidate five currently-effective MOD standards, providing authority for collection and reporting of Demand and Energy Data by distribution providers, load-serving entities, transmission planners, and balancing authorities. NERC Petitions for Approval of Amendments to Regional Reliability Standards Development Process of NPCC - September 15 - NERC submitted a petition with FERC for approval of amendments to the regional reliability standards development process for the Northeast Power Coordinating Council (NPCC). In particular, NERC proposed a Regional and Standards Process Manual that contains a number of improvements and that replaces the current Regional Reliability Standard Development Procedure. Notice was published in the Federal Register on September 16th and comments are due by October 6th. NERC Submits Proposed Reliability Standard NUC-001-3 for Approval - September 15 - NERC submitted to FERC petition for approval of proposed Reliablity Standard NUC-001-3 (Nuclear Plant Interface Coordination), which requires coordination between Nuclear Plant Generator Operators and Transmission Entities for the purpose of ensuring safe operation and shutdown of nuclear power plants. The petition also requests approval of the associated Implementation Plan, Violation Risk Factors and Violation Severity Levels, and retirement of currently-effective Reliability Standard NUC-001-2.1. NERC, NPCC, and Quebec Regie Sign Second Agreement - September 30 - NERC, NPCC, and the Regie l'Energie Quebec signed an agreement on the implementation of compliance monitoring and enforcement for mandatory reliability standards in Quebec. The agreement delineates the roles of the three organizations for monitoring and enforcement measures. WECC Releases Clean Power Plan Technical Report - September 19 - WECC released its Phase I report on the implementation of EPA's proposed Clean Power Plan, which if finalized would regulate carbon dioxide emissions from existing power plants. While WECC itself would not be directly regulated under the proposed rule, the report highlights the Clean Power Plan's impacts on Western states and indicates WECC's plans for analysis, including the ramifications of coal shutdowns for nearby transmission systems, frequency response issues, and evaluation of eventual state implementation plans. For more information on the Clean Power Plan, see Van Ness Feldman's alert..
People of the State of New York and the New York Public Service Commission Petition for Appeal of FERC's Orders Approving Revised Definition of BES - September 24 - The People of the State of New York and the New York Public Service Commission submitted a petition for review of FERC Order Nos. 773 and 773-A with the U.S. Court of Appeals for the Second Circuit. NARUC intervened and submitted a brief in support of the petitioners. The petitioners and NARUC argue that FERC has exceeded its jurisdiction under the Federal Power Act by creating a rebuttable presumption that all facilities are jurisdictional. Although NERC and FERC have created an exemption process, the parties argue that NERC and FERC should be required to first determine whether a facility is exempt because it is used in local distribution before subjecting such facilities to FERC and NERC's reliability jurisdiction. Mines, Michigan Regulator Seek Reversal of Load Balancing Authority Designation - September 19 - Two mining companies in Michigan's Upper Peninsula and the Michigan Public Service Commission separately filed complaints at FERC against Wisconsin Electric Power Co. (WEPCO), MISO, and NERC. The complaints allege that WEPCO's NERC-approved division of its service territory into two load balancing authorities would result in unjust charges to Upper Peninsula customers, and seek FERC action to reverse the split. The Van Ness Feldman Electric Reliability Update is published by Andrew Art, Malcolm McLellan and Gabe Tabak, with assistance from Chris Zentz, Ilan Gutherz, and Van Smith.